PC having weird freezes after cold boot. The UI still reacts but after 10~30 seonds all done actions happen the same time. I am wondering if this could be a defective CPU or PSU. Since few months I am having problems with my computer. The first problems were BSOD's and getting freezes when under load. I updated my motherboard bios and also replaced it but it didn't affect. Under load(like video encoding) or at random moments getting these BSOD: MACHINE_CHECK_EXCEPTION and CLOCK_WATCHDOG_TIMEOUT. Freezes where the computer suddenly does nothing and the sound keeps hanging. After some research I updated the bios and disabled Intel Turbo boost and also disabled all power saving options. This affected a little bit but it was impossible to encode a video. After 1 or 2 minutes I get a BSOD. I replaced my Gigabyte GA-Z97-HD3 motherboard with a MSI Z97 Krait. Also replaced my 4x 2GB ram with 2x8GB The this helped noticable a lot. But still having occasionally freezes and BSOD when under load. With my new MSI motherboard I'm having new problems. When doing a litteraly cold boot the next day windows keeps hanging for around 30 seconds. The freezing occurs several times within the first half hour. After the computer is warmed up, then It works normally(beside of the BSOD when under load). When the computer is freezing, the Windows UI still reacts but I notice that the HDD led is constantly on so there is 100% disk activity. My mouse still moves. For example if I click on the start button or opening my web browser or navigating to a website, nothing happens and the cursor changes into a loading icon. After around 30 seconds all actions happen within a second. The disk load also is gone. MSI Z97 Krait with the latest bios update. Windows 10 x64 Pro up to date. I reinstalled Windows 10 3 times now. Replaced my old Logitech G5 mouse with a Logitech G503. When doing a cold boot I was hearing sometimes a device unplug and plug sound. The mouse disappears for around 3 seconds and then comes back. This also happens in the first half hour. With my new mouse this problem is solved. Removed my old Creative Xfi Xtreme Music sound card because windows 10 kept uninstalling the drivers. 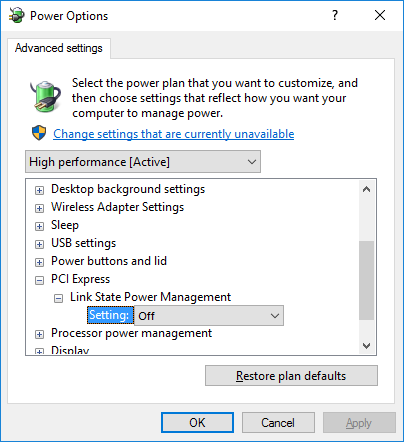 Put the Windows energy settings to High performance. Sent my old Gigabyte Z97 HD3 motherboard RMA. The shop returned it because they tested it and didn't found any defect. They also told me that they runned 24 hour prime95 while I couldn't do it for longer than 5 seconds. I put the VCORE to 1.3 volt which resulted into less BSOD. After some search on the internet I found out that it could be a defective CPU or PSU. Before I throw more money away I want to be sure what the source of my symptoms are. "MACHINE_CHECK_EXCEPTION" is likely always a hardware problem. And it should have more detail than that (like it would mention which cpu and memory bank if it blamed RAM or cpu). You ran memtest, so it's probably CPU or something else. To test CPU, you can use prime95. Testing it in your already rapidly dying OS would be pointless though... maybe a livecd would be more appropriate. To test whether it's CPU, power supply, motherboard, etc. you'd have to test each one, eg. by replacing the part and testing again. Or you could just look for bulging or leaking capacitors, which often works for old hw, and likely never for new hw. I replaced the PSU last week but it didn't solve my problem. 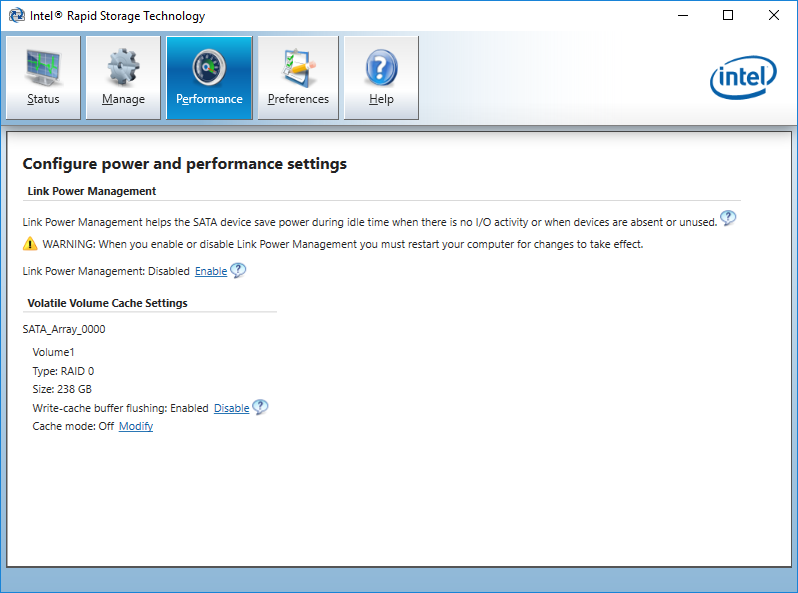 Windows 10 is having some weird power saving features that will try to spin down your raid0 disks. Not the answer you're looking for? 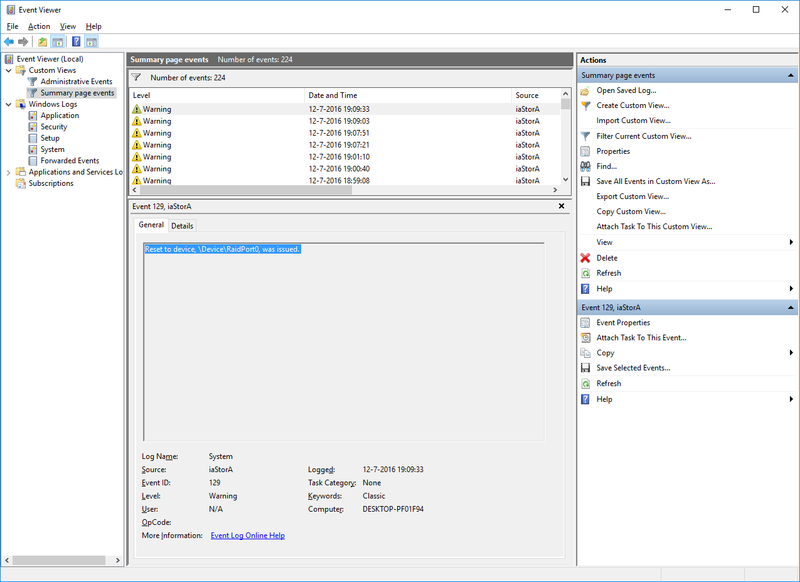 Browse other questions tagged windows-10 freeze bsod or ask your own question.